Marine Le Pen is a far-right candidate and represents the National Front, the party has existed for a little over 40 years and she has been representing it since January 2011. She is the daughter of the founder of the Front National, Jean Marie Le Pen who founded the party in 1970. Her rise to mainstream politics through online propaganda was compared to political euthanasia and she has often mentioned pulling France out of the European Union, quoting the example of United Kingdom. The rise of Trump after the Brexit vote accentuated an impact on the web and social media analytics as an effective partisan weapon to target citizenry. Although analytics and social media are commonly used by private companies, in France they are seldom used for political perusal and promotion, yet data pertaining to socio-political cases can be used to analyse the importance of online arena of the diversified political spectrum. Marine Le Pen’s protectionist, anti-establishment views echoed in parts of rural France with lower incomes and lower education level while Emmanuel Macron had an edge with higher income and educational bracket, he won 84 percent of the total vote in educated regions while the number halted down to 53 percent among the least educated. In total, there are twenty two constituencies in France and the elections occur in two rounds. Macron’s campaign resonated to that of former president Barack Obama as he took the services of Liegey Muller Pons, a Paris firm that distinguishes itself as “Europe’s first campaign start up.” The organization was initiated by Arthur Muller, Guillaume Liegey, and Vincent Pons who met and collaborated in the United States while participating in Barack Obama’s campaign in 2008, although big data is quite popular in the business world, it is rarely used in elections. The organisation pivots on large-scale corporation of people on the ground, the organization combines and crunches data both digital and human. Liegey Muller Pons designs campaign related applications based on worldwide academic research in political sciences and tangles with opportunities related to big data, human intelligence, and new technologies, the applications provide selected features for campaign staff such as mapping field actions and management of contact bases for party members and recruiters alike. The result allows the staff members to analyse and visualize demographics, electoral results and other key characteristics of the targeted constituency, the field response function provides the members to target high priority electorates and track in real time the volunteers progress on an interactive map. Lastly, the communication link on the application gives the crew classified information of every offline interaction with voters, as well as, the capability to supervise emails and SMS from a centralized system interface. Once considered the fate of political campaigning, analytical data and big data research have now become mainstream in American and European politics as candidates struggle to gain a grasp of their political standing as Europe’s strict laws on gathering personal data. 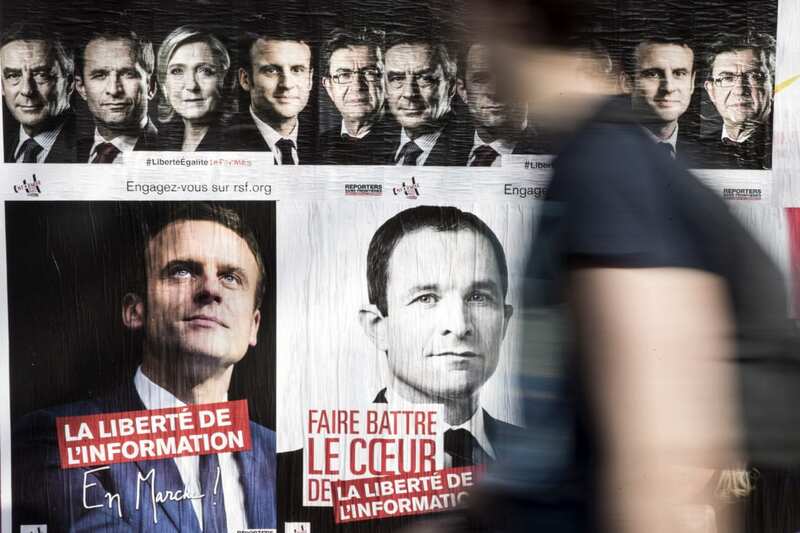 Macron hired the firm to get people voluntarily disclose their personal information on a large scale as to generate a database which can be analysed for information. A strong showing by Trump, Nigel Farage, Le Pen and Macron changed the way candidates look at data when it comes to connecting with their electorate. The future is data driven and candidates will arm their arsenal with data driven decisions, the renaissance shift in Europe has started by Nigel Farage, leader of the Freedom Party. Data enhancement will change and shape the world as we know it, the surprise decision that UK is leaving the union and the unexpected rise of Donald Trump owes a great deal of gratitude to data enhancement, segmenting and profiling techniques that sends information to highly targeted audience at a regular rate. In February 2017, major media portals announced that both Farage and Trump used the services of the same analytics firm in Cambridge to sway a major chunk of voters. The firm was involved in gathering data and harvesting public sentiment reports from major social media outlets such as Facebook, Twitter, Tumblr and Instagram. Machine learning was used to search patterns that automatically adjusted and tailored the advertisements to alter different sub groups of society. The metaphorical marriage of big data and social data will be effectively used to motivate individuals as the extent of data individuals receive will be magnified and diversified, algorithms will target individuals based on their social web print and the frequency by which they visit web pages. Smart campaign managers are exploiting these trends to influence elections as social data is atomically changing the art of marketing because data centric shift has enabled political parties to alter approaches towards diversifying and predicting outcomes. Also Read Five reasons why Data Scientists are so hot now! 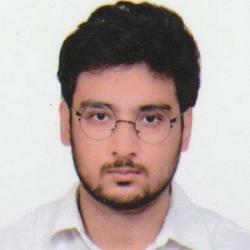 I am a student of business analytics and I have an inclination for writing. I completed my undergraduate degree in electronics and communication, received an offer from The University of Windsor and Carleton University for masters in engineering but I have decided to study analytics, hopefully, I will receive an offer for masters in data analytics.